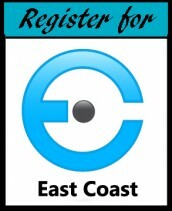 As is customary for Conferences That Work, we are publishing all the (anonymized) evaluations for EventCamp East Coast. So often, this information is restricted to conference organizers. I think this kind of transparency is important for any event, as it provides participants with feedback on how their experience compared with their peers, publicizes the positive and negative responses to the event, and sets the stage for the whole conference community to discuss ways to make future events better. Let’s start with the ratings for the various sessions. We have amalgamated the ratings for the peer sessions, and individual session ratings and comments have been sent to the session leaders. The personal introspective questions are a great way to reflect and close. Felt open, people looked comfortable enough to share, discussion was not judgmental. Glad I had the chance to think about what I wanted to continue on with after the event. could have skipped hearing the detail on everyone’s takeaways. Such a great idea to take time during the event and put the day in perspective. Not sure if it was a great learning experience! I think the time could have been better used for example having facilitators of all sessions giving a 5-min wrap up on what happened in their session so the people that couldn’t attend also got the summary directly. Enjoyed hearing from the other people. While I enjoyed hearing what everyone got out of the conference, I am not sure it was a very useful way to utilize our time. Excellent to have time to debrief and share. A bit long with that many people. Alternative design could achieve this with less sitting-and-listening. Also, schedule description could be more clear. I thought we had that entire time for reflection, with the group spective being the sharing segment. There could be more time for reflection and being with ourselves. Maybe a silent break or something like that. Loved the length of time because I think it takes that long to really answer all those questions in a way that is valuable to yourself. I appreciate the importance of creating accountability but I don’t think that I needed to hear about everyone’s plans moving forward. I would have been equally as comfortable having certain individuals sharing as opposed to the whole group. I would have liked to use this time for another session. Very good to reflect on what has been learned and what one will do with the information,etc. I think the benefits for retention of content and actually making sure that the positive effects last BEYOND the conference and for ensuring that attendees leave feeling like they got a lot from the conference are HUGE. This was excellent. The fishbowl was awesome. I have always wanted to see a session done that way. Time was running out, I would have done this earlier in the day. Nice to hear what everyone thought. By this time, I was starting to lose focus – a quick standing up and stretching activity for a few minutes would have been appreciated to keep my attention. I was very pleasantly surprised at how many people were willing to share and to what degree. Not sure how valuable this was, it could have been done in much shorter time period than that. Although it was a good way for everyone to voice their concerns and excitements about the event in general. Wish we had more time here to cover other topics. The #eventprofs topic was cool – but it would have been interesting to talk about some other things. Would have liked to see a little more of this. More of a group discussion on the day and ideas that impact us. The Fishbowl was a nice concept however I would have preferred to have more of a group discussion on more relevant topics. Great way to capture thoughts. I liked hearing what my new and better friends got from the experience as well as things they thought could be improved. It honestly did not feel like criticism but I think only because I now trusted them. A lot of great things came out of this and interesting insights were shared. Valuable session . . . have seen this at PCMA in the past. Very effective. Yes, I made great contacts and look forward to building relationships. Absolutely! I met many new people in a less formal manner, which allowed me to feel open to discuss topics freely. I did not feel like anyone was trying to sell a product to me, so it was easy to discuss new ideas. Kudos to all! This was easily the most immersive and engaged event I’ve attended in years. Possibly in my entire career. Yes, got to learn directly from my peers. The sessions were not greatly educational but acted as a good way to find out what is everyone thinking about and what are the main concerns. The networking aspect was done perfectly however. Yes, absolutely. The flow of ideas and strategies was non-stop, and I really appreciated the underlying tone: that meetings as a whole can do better and achieve more if we change some of the assumptions the industry brings onsite. Absolutely. I’m delighted to have been introduced to the eventprofs community, and totally encouraged that it exists! Very personally valuable, as I experience the frustration many others do with the current state of the meetings industry. Professionally, I learned a lot and met people I know will be valuable collaborative partners as we all move forward. Yes. Extremely successful in having attendees work with attendees for a better conference than a planned presenter/panel style conference. Absolutely because I got to meet new people, build even better relationships with people I knew already. Got to hear different opinions and new perspectives on things. It gave us time to form relationships or start to form them…not just acquaintances. I’m glad it was not just opened to specifically meeting planners. We really needed that outside and inside perspective. Especially in the Design session. I think that for the most part the conference was extremely valuable but I was very disappointed that we did not get the opportunity to speak at greater length about standards in the event industry as that was my main reason for coming to the conference. That said, I understand that this is one of the “hazards” of participant driven material. Yes. The format, family type setting, and the knowledge and the experience people brought. I feel the conference offered a lot of value to some attendees, but only a little to me. YES!! having the time together in a small group and going through the program together was fantastic and allowed us to really bond together. I walked away with better contacts and a greater feeling of satisfaction than i do at other conferences. Yes, you were successful! ECEC is truly a case of the whole being greater than the sum of its parts. Participant driven, f2f, put down your technology, it’s just us in the room, and let’s live in the present worked for me. I learned a lot, have a lot to think about, hopefully was able to share some helpful information too. Yes! I am already making recommendations that will change the way future events, conferences roll out! Got lots of new contacts, deepened existing ones and realized new skills that I haven’t tapped into. I think the event was very successful. I was engaged the entire time, feel that I have developed professionally and gained a new level of confidence in myself personally. Teaching a social media 101 class for my staff. The most valuable presenter is the group knowledge in the room and not an outsider. I met people that I feel will be willing to help me find new solutions to old problems. Starting with the conference format itself – our attendees are thirsting for something like this. We just didn’t know how to provide it. A lot. Many ways to improve my social media, many new connections for collaborating on initiatives and changes I feel need to be made in the meetings industry. How to meet and interact better. What didn’t I learn? Mostly I have a list of people I can turn to when I need their expertise. I actually know what their expertise is. They are no longer a listing in the yellow pages but a real person who I know a bit more about professionally and personally. I want to do business with someone I know and I’m sure many of the people who met me feel the same way. You do not get to know people at a traditional conference…at least not 46 people. I now know 46 people pretty well. The material about participant driven events is definitely something I will be taking into consideration discussing extensively with my peers in communication and leadership. More personal contacts for referrals, support, and friendship! It’s the reason I attend anything! How to deal with Traditional event planners, speak their language, understand where they are coming from. The learning will continue as I move forward and continue the dialogue I started with a lot of the attendees. Adrian’s conference process will be tremendously useful. I learned of some good online and print resources that I feel will benefit me professionally. -It became very apparent I talk way too much when I am really nervous and I have to learn to control that. -I prefer to go to events with someone I already know, I found I met a lot more people by attending solo. -The importance of building network time into meeting agendas for customer and internal events, above & beyond what I already believed. – You don’t need visuals to hold your audiences attention just allow them to participate. Think I’ve covered that in other responses. That I can do a lot more than I think I can. That not everyone is community oriented and those who feel left out should remember that they CHOSE not to attend. That I LOVE my friends in the #eventprofs community. That I can survive on a lot less sleep than I thought. That when it comes to standing up for what’s right, age has no bearing on maturity. The major importance of networking and sharing information with peers. Logistics — directions to La Salle could have been more detailed. Add an extra day so we can either do fewer longer session on the first day of sessions and a few extra sessions on the second day. Also allow us to get up and do some different networking activity in the afternoon so our minds would stay fresh and attentive. Minor stuff – having the attendees on Event Mobi by first name really made it clear that sorting by first name in the facebook would have been more useful. The fb was fabulous – just a tweak. I’d recommend collecting emergency contact information from attendees. Useful for medical personnel and first responders if someone does suffer a medical emergency. better format for running the sessions by facilitators so they stay on topic. * Over time, it will become more important for EventCamp and #eventprofs veterans to be more consciously welcoming of newbies. I didn’t personally have a problem with this, but I heard some rumblings about incipient clique-ishness that may get louder over time. The veterans do want to see each other and spend time together…and that’s as it should be! The challenge will be to grab and celebrate those moments without letting others feel left out. Actually, a very tiny manifestation of this issue was that experienced EventCamp participants knew to show up the night before for an informal gathering, and I was sorry I’d booked my flight by the time I clued in. I’ll know better next time, but the information should be shared with all registrants. * The post-EC2 conversation about online streaming vs. onsite privacy was *fascinating*, and I think both sides made very good points. On McCurry’s blog, Andrea Sullivan suggested a middle ground where some sessions are streamed, while others are kept private. I think this could be a very useful adaptation of Adrian’s methodology, and I’d be interested in his (your) thinking on how to get it done. Would have liked maybe another day. or more time for the informal conversations. We had frequent breaks which was nice but sessions ran long and it was difficult to chat with everyone. Virtual components for the #eventprofs community. I think we should have put more effort into the venue. cheap is good but knowing how long people are sitting changes my perspective on this. If we can’t change the actual seats (at least not in the big room) we should at least do something with the room design to stimulate the mind. I would have liked to see better management of the first 2 hours of the registration. In all pre-event communication there was a strong insistence on the importance of being present for the 2 hours but aside from one on one networking I did not really see how this differed from the standard “pick up your badge and go” model. I feel fortunate to have attended this particular EventCamp where there was no livestream and we were not constantly tweeting. I would imagine having everyone’s attention in the present, focused in the room, not on their phones or computers, gave this eventcamp a very different vibe. Having an attendee base that is extremely social media savvy is great for spreading the word but not necessarily effective for creating f2f relationships. This was a treat! Definitely. There is always more to learn. This type of networking is so valuable. Yes – the networking and quality of attendees was excellent and the topics were timely and relevant. Yes. As I mentioned above, this was easily the most immersive and engaged event I’ve attended in years. Possibly in my entire career. Hmmm hard to say, I enjoyed it, learned and met amazing people and really got to know them which probably wouldn’t have happened any other way, but I feel I did not learn as much as there were potential ! Yes. I really enjoyed the peer to peer aspect; open dscussions and not sitting there being talked “at” with a deck of PPT slides! Absolutely! Great design, wonderful people! Absolutely. Because not only does it work, it works better. I’m not sure I want to attend any other kind at this point. Honestly. This was one of the best experiences of my life let alone the very best conference experience…imagine how I’d feel if I was not distracted by anything??? Yes- I would be interested to see what would come out of it. Not sure. Even though I couldn’t stay for personal reasons, I’m a little hesitant to attend a conference where I’m not sure of the topics to be addressed. It’s difficult to justify travel and time costs when I don’t know if what will be discussed is relevant to me. 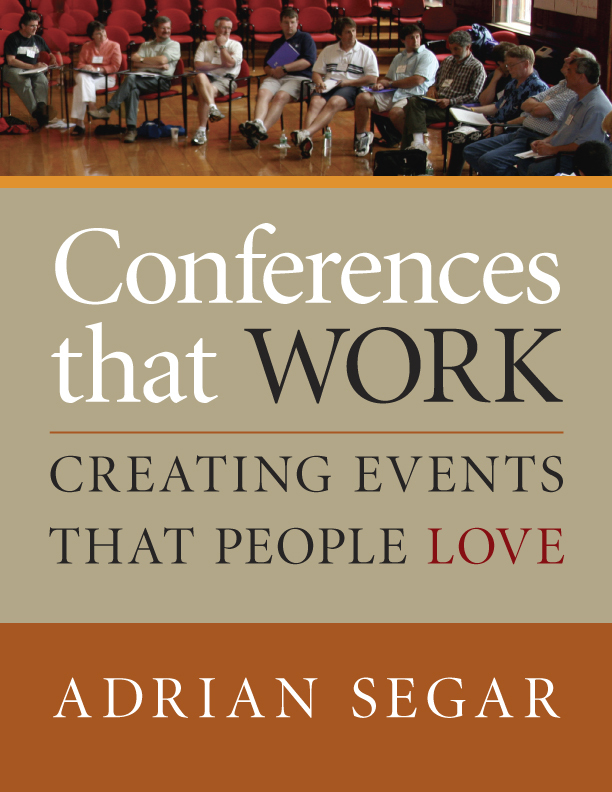 However, the unconference format is interesting and might attend if it was a local event. Absolutely. Too much knowledge and experience to help me get better at what I do. Yes – especially if it was this type of format, because it’s so effective and fun. Design of conference was good – I think targeting attendees that will act as good facilitators would be beneficial. Yes, I would attend a future EC with the hope of of further developing contacts made into relationships, and for the information shared and lessons to be learned. Absolutely! I feel like I not only received valuable content, but that I’ve made friends and contacts for life! Again this was an enjoyable life-changing experience for me. Thanks to Adrian, Lindsey and Traci for everything. It truly was fabulous! Make it an additional day in order to spread out the topics and allow for more informal conversations and networking. Would also be nice if we were able to submit potential topics in advance of arriving onsite. Let’s do it again soon! I’d love to get together with Philly (And DC/NY) people again in informal ways. I’ve loved meeting everyone and am inspired by the expertise and intelligence of the community. Add virtual components and tech components for displaying comments of people who aren’t talking. I feel board meetings need twitter because while one person is making a point several other points could be made rapidly but if there is no way to share them and everyone has to wait (respectively) for the person to stop talking than we never hear them. These meetings could use the same feature. You guys did a great job! This is a huge effort and everyone seemed to be having a great time. Congrats! The organizers should feel proud of what they accomplished. I was blown away by this experience and really enjoyed it. It was worth every single penny I spent times 5.